Earn you 9000 reward points. 3DM V3 an updated version based on 3DM V2 3D modelling Oblique camera. 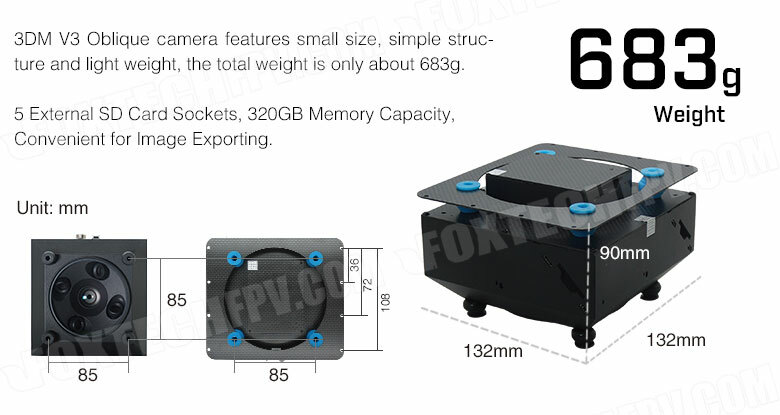 Compared with 3DM V2 Oblique camera the 3DM V3 features smaller size, simple structure and light weight, the total weight is only 683g, it is the lightest oblique camera. 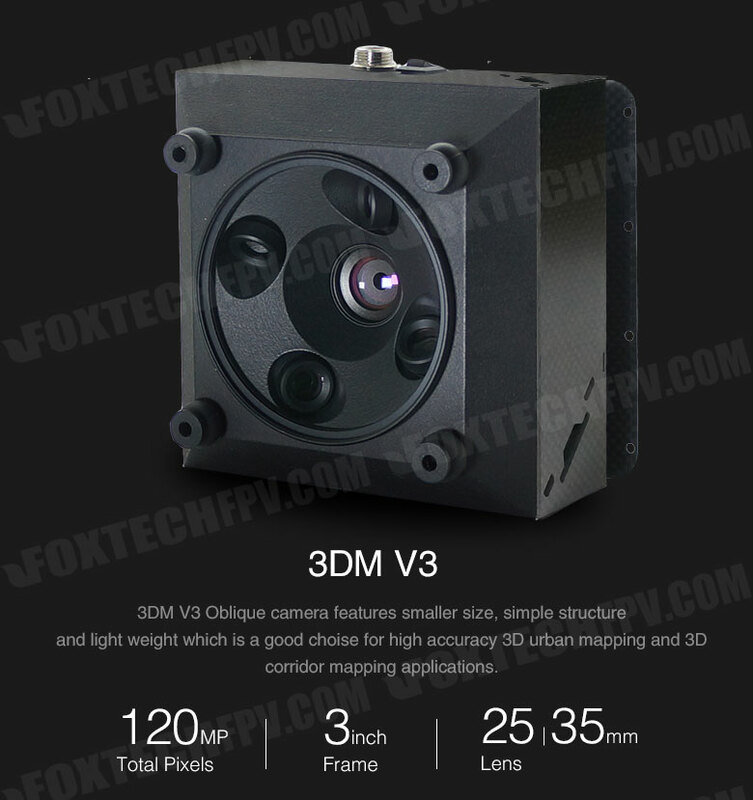 The 3DM V3 Oblique airborne camera system is a good choise for high accuracy 3D urban mapping and 3D corridor mapping applications. 3DM V3 with ultra high resolution and best performance which will bring real and excellent precision performance to your 3D model. The surrounding cameras is equipped with 35mm lens to take subjects far away, and the center camera is equipped with 25mm lens to take less distance. The pixel of each camera is about 24mega, the total pixels number of the five cameras is 120 mega. 3D modelling Oblique camera has cooling system built inside, and it also has its own damper system to ensure good image quality. Support wide voltage, power supply range of 3DM V3 is 4s-6s. And it has 5 external SD card sockets, it is convenient for Image Exporting, the total memory capacity is 320GB. The simple structure make it easy to be fixed on multicopter, or on the fixedwings, the 3DM Oblique camera has adjustable tilt brackets for multicopters. 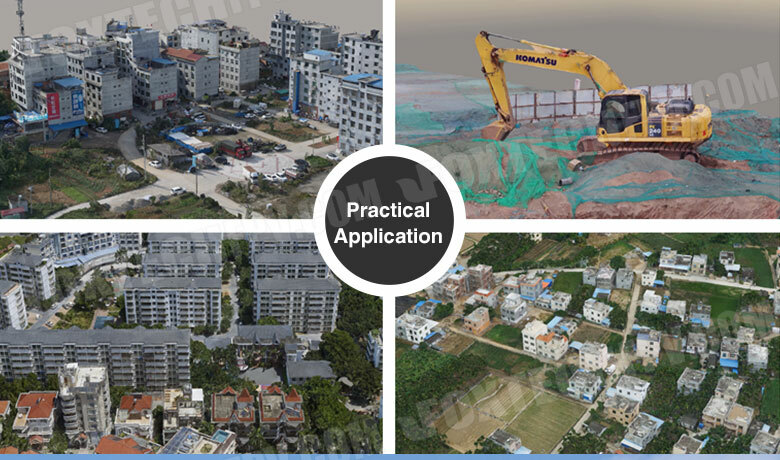 With the help of PPK/RTK system, it can do 3D modelling with a very good precision, up to 1 centimeter accuracy. BABY SHARK VTOL equipped with 3DM V3 is a high efficiency mapping solution for 3D mapping jobs, besides BABY SAHRK, 3DM V3 Oblique airborne camera system is also suitable for GAIA 160S, GAIA 160 Elite, GAIA160 Hybrid and other VTOL.